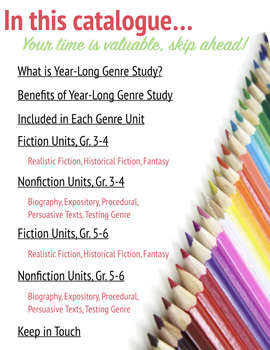 Year long genre study is an easy way to logically frame your ENTIRE reading curriculum. I have created six, in-depth genre units (see below) for the reading workshop classroom. 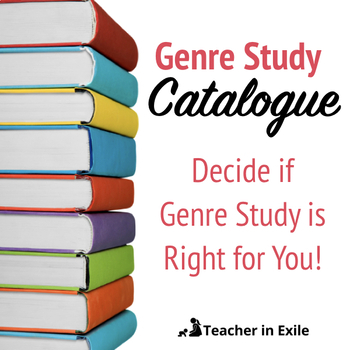 This perusing guide details how you can use year-long genre study (and these units) to frame your reading curriculum. "One of the very best resources I have found for teaching Genre Study using Reader's Workshop. Thank you!! We hope you will continue to create these units for other genres!!!!!" --Kellie R.
"Extremely thorough product. 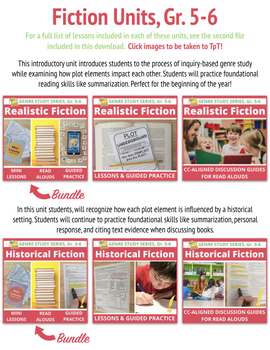 Excellent resource for Reader's Workshop and Units of Study!! Thank you!" --Kellie R.
"Everything I needed (and more!) for realistic fiction genre study. Thanks!" --Coral V.
Want to Preview This Genre Unit Series? 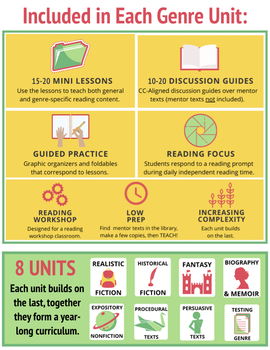 These units come together to form a cohesive curriculum over reading fiction literature. SIGN UP for my newsletter to be notified when new genre units are available. Looking for other reading resources? →Sign Up For My Monthly Newsletter--You'll be entered into a drawing for a $10 TPT GIFT CARD!